South Nags Head condominium, beach resort home in North Carolina. Beach front condominium in South Nags Head overlooking the ocean where you can kick back on the 24' balcony and enjoy breathtaking early morning sunrises. 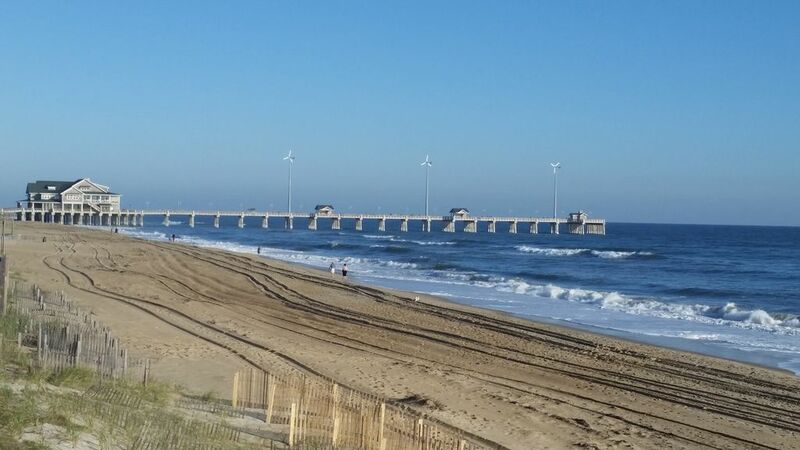 Conveniently located next to Jeanette's Fishing Pier and centrally located to several 'Best of the Beach' award winning restaurants, Tanger Outlet Mall, Kitty Hawk Kites, and Jockey's Ridge State Park. Short drive to the NC Aquarium in Manteo, The Lost Colony Live Theatre and Bodie Island Lighthouse. Take a day trip to Hatteras Lighthouse or enjoy a day deep sea fishing. South Nags Head Condo Rental in North Carolina.. The Outer Banks, a popular vacation destination, are barrier islands on the coast of North Carolina, separating the Atlantic Ocean from the mainland. The Outer Banks beaches, state parks and shipwreck diving sites make them a popular family vacation destination. the Outer Banks area has 3 main sections: the Northern Beaches, consisting of Duck, Southern Shores, Kitty Hawk, Kill Devil Hills and Nags Head; Hatteras Island, consisting of Rodanthe, Waves, Salvo, Avon, Buxton, Frisco and Hatteras; and Roanoke Island, consisting of Manteo and Wanchese. Outer Banks outdoor activities include for surfing, boating, fishing and more along these barrier islands. Don't forget about the freshest seafood anywhere, Outer Banks has exceptional choices for enjoying your favorite dish.